Disclaimer: We did receive a free Vera Bradley tote bag prior to the sale as well as two free tickets to the Annual Vera Bradley Outlet Sale. We used our own money to purchase items at the sale and of course provided our own transportation to the sale. All opinions are our own. 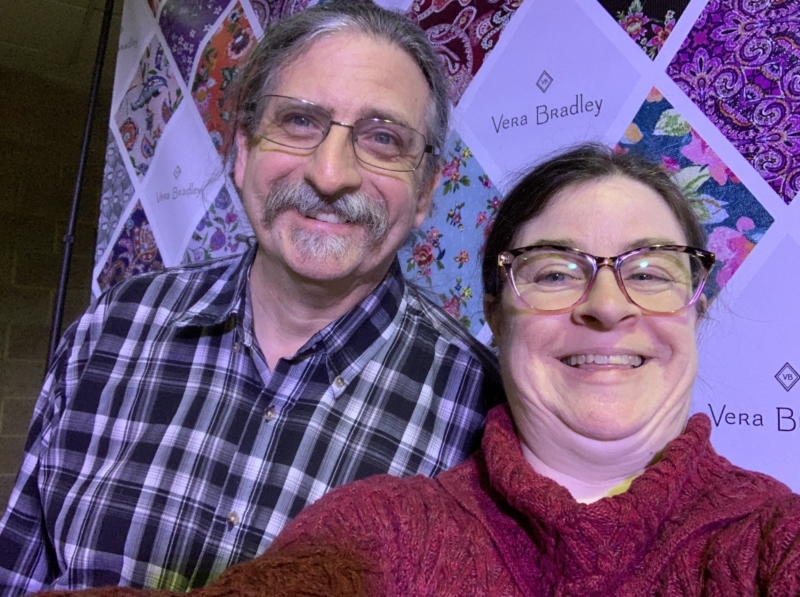 This was our first time attending the Annual Vera Bradley Outlet Sale, although I have to admit that I had heard about it for many years, but mistakenly thought it was all about purses. While it is true, the Vera Bradley purses are a huge part of the sale, they are not the only items available. From huge beach towels, to RDIF wallets, bedspreads and even clothing, there really is something there for almost everyone. Also, unlike in the old days where it was a free-for-all, which was another reason it did not appeal to me back in the day, this year’s event was very well organized and people were quite considerate of one another. By the time we left, I had picked up an umbrella, hair ties and two pairs of flip flops for my daughters. Of course, the truth is, I took cash and was trying to stay on a budget. Had I known what all was going to be offered and the great prices, with some items as much as 75% off, I definitely would have taken more money. So, if you are new to all of this and like me, don’t know what to expect, here are the facts! 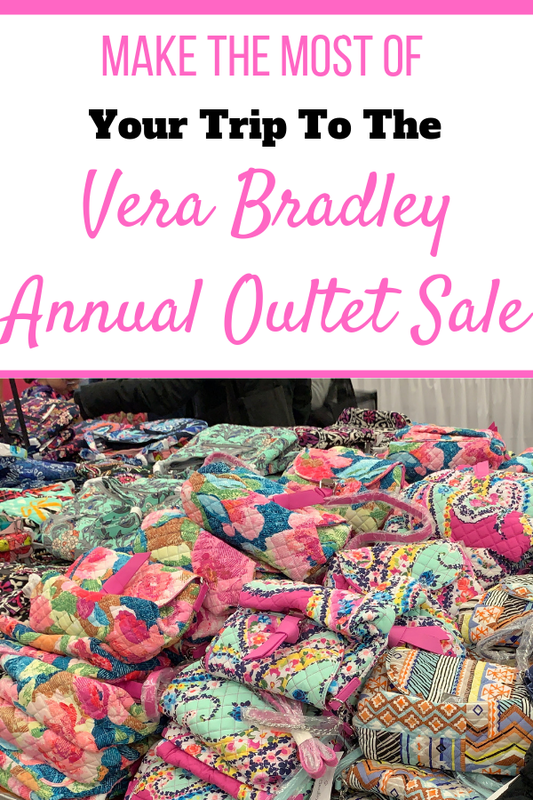 As soon as the Vera Bradley Annual Outlet Sale is over, plan to get the dates for the following years sale because those tickets go on sale early in the year and you don’t want to miss out. 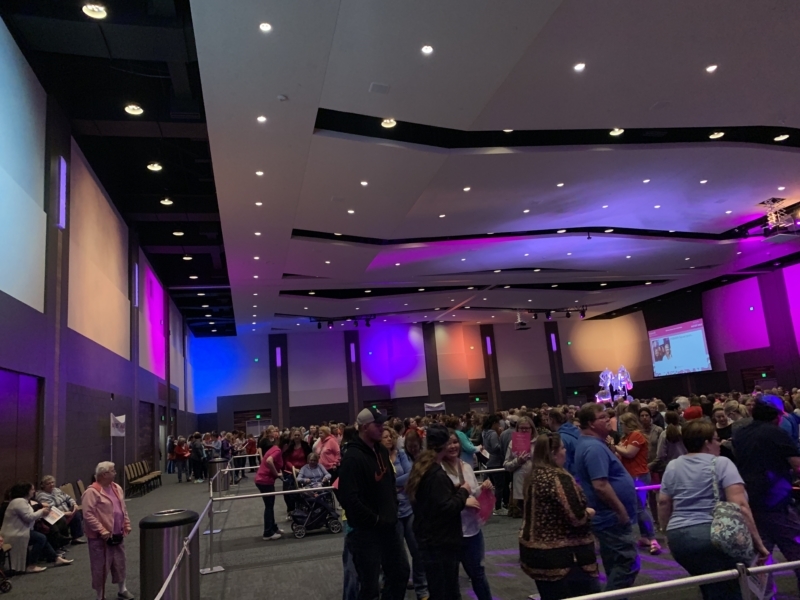 For those going in groups of 20 or more, plan to reserve a VIP experience because you get a separate entrance into the sale, an exclusive checkout area, a waiting room lounge and a free gift! In addition to purchasing your tickets, registration is also required and is a separate process. Registration is free and required if you plan to make a purchase while you are there. I highly suggest registering as soon as you purchase your tickets. This way you don’t forget and end up at the sale still needing to register. While there were computers set up for people to register once they arrived, the line was long and those who already registered were able to get right into the waiting room line. Believe me, you want to be at the front of that line because it gets pretty long by the time the doors actually open to let people start shopping. It does cost to park at the War Memorial Coliseum in Fort Wayne, Indiana and so you need cash for that. I took cash to spend so I would stay on budget and not overspend, which to be truthful with you the thought of using a debit or credit card to buy more entered my mind more than once while I was browsing the sale items. I kept seeing the cutest patterns and thinking how much my daughters or other people I knew might like this or that. Next year, I intend to plan ahead so I can buy more and get my gift purchasing done early in the year. Plus there are some items I want such as a leather RDIF wallet and possibly even some of those beach towels, especially the ones with the pink flamingos on them if they still have some. One last thing you do need to know is there is a $3,500.00 per person purchase limit at the sale! 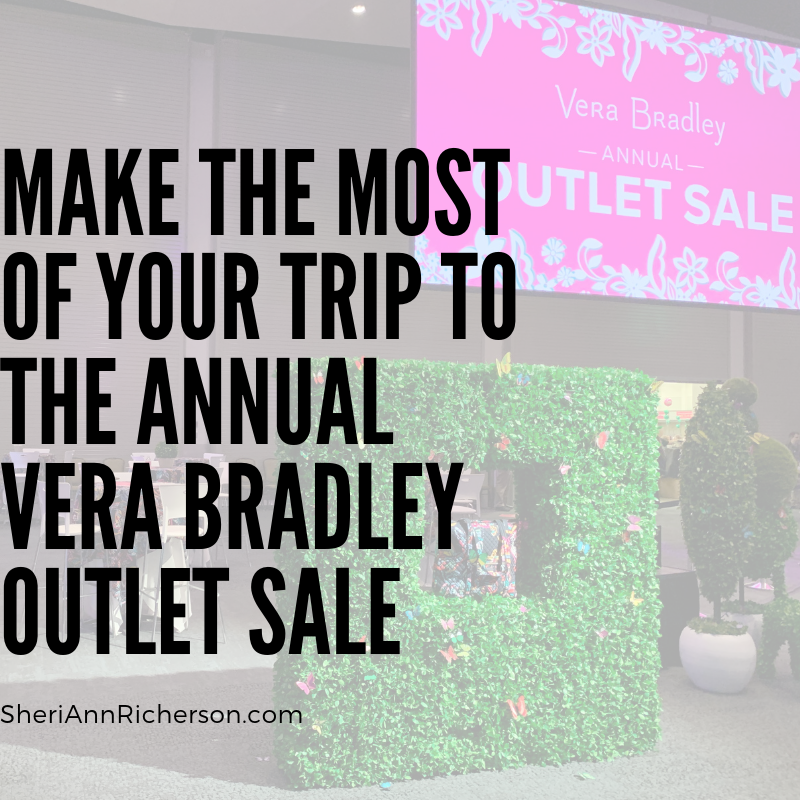 Plan to arrive at the Vera Bradly Outlet Sale at least half an hour before the time on your ticket, but be aware you are going to stand in line. Some people chose to sit down on the carpet, but most, like us, just stood there. By the time we got in the line, there was approximately 24 minutes left on the timer and we were in the third row back from the door! By the time the timer had four minutes left on it, the room was filled with people in line and the actual line was going out the door. The real advantage to being that close to the front when the door was opened was we got to browse at the tables we had marked off our list before the lines started forming around the tables. By the time the entire group of people was in the sales room, the tables were so crowded it was hard to see what was on the tables and people were beginning to just grab things and put them in their bags. 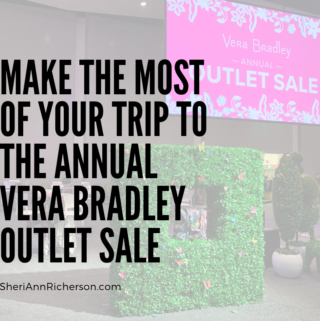 Be sure to make a list of gift ideas as well as items you might want at the Vera Bradley Outlet Sale. 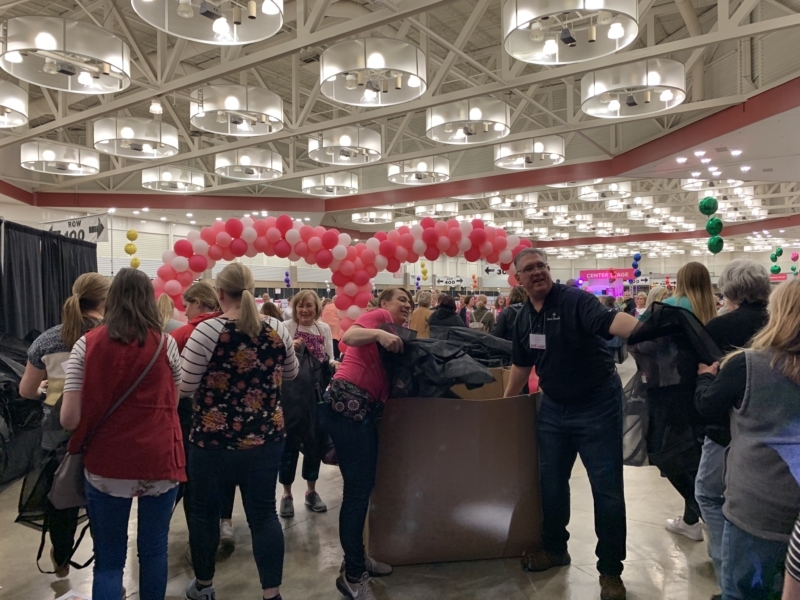 We were given a shopping guide when we picked up our tickets which included sale times, registration requirements, information on the Vera Bradley Foundation for Breast Cancer, a list of items for sale and a map for the sales room. We were able to browse the items on the shopping guide while we stood in line and then mark on the map the tables we wanted to check out. From there, we made a numbered list of where to go first, second, third and so on while we waited. Once the doors were opened and people were allowed to enter the sale room, the noise level went way up. Each person entered though a ballon entryway and were given a bag to put the items in they wanted to buy. I feel the list we made on the map we were given when we picked up our tickets really made a difference because we were able to get to the areas we wanted to go, get the items we wanted put into our bags and then feel a lot less stressed once the lines around the tables started to form. As I mentioned earlier, I had a budget I wanted to adhere to for this years Vera Bradley Outlet Sale. I know that the prices were 40% to 60% off, but honestly I wasn’t sure what that equated to or even what would be there. While we were standing in line looking over the shopping guide we noticed there was a last chance table where all the items were just $4.99. We also noticed a $9.99, a $19.99 and $29.99 last chance tables, which gave us a pretty good idea of the price range of items available. I ended up buying four items and spending $37.00 total at the sale and $6.00 to park. Here is what I bought along with the original price and the sale price. 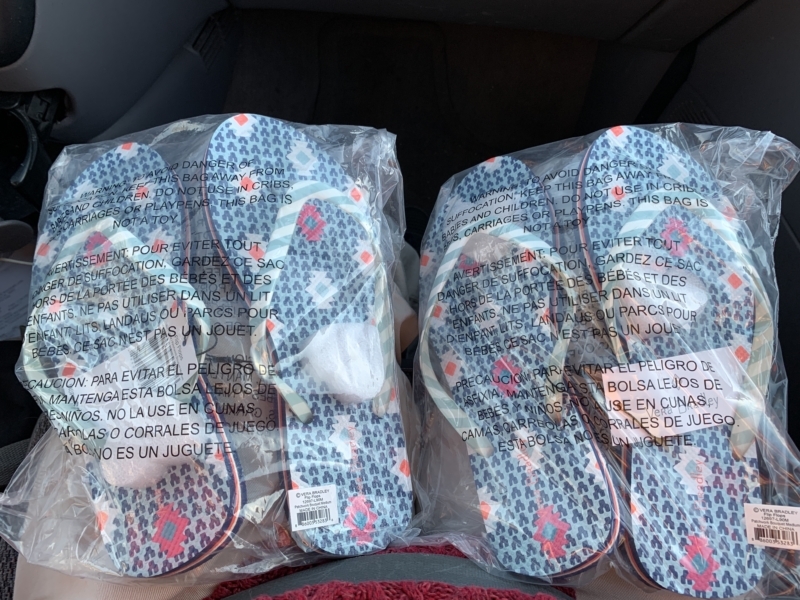 I bought two pairs of flip flops for my daughters. The original price for the Patchwork Bouquet Flip Flops was $24.00 each, but the sale prices just $5.99 each! For myself I purchased, two items, an umbrella and colorful hair elastics. The Flamingo Fiesta Umbrella was originally $39.00 per the price tag hanging on it, but I only paid $15.99 for it. The Flamingo Fiesta Colorful Hair Elastics were marked $15.00 as the original price and I paid just $5.99. 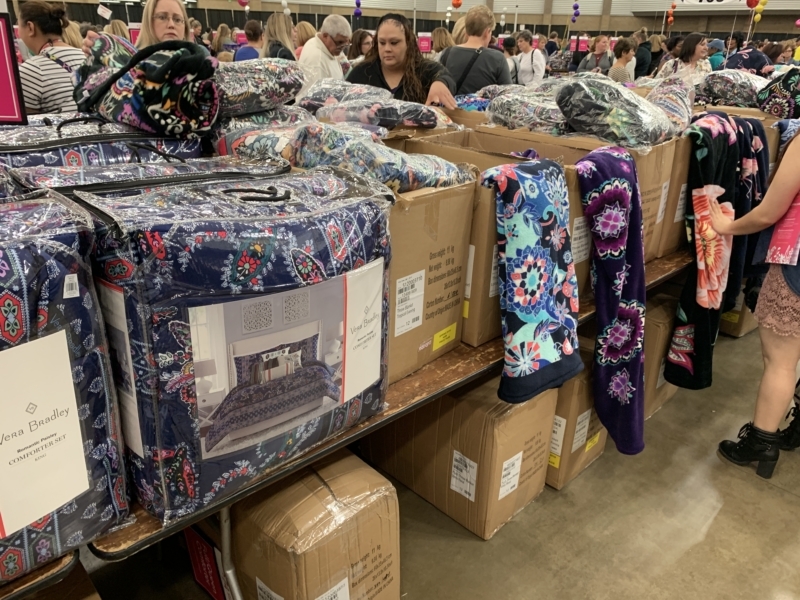 The Vera Bradly Outlet Sale attracts around 60,000 people to the Fort Wayne area. People literally come from all over the United States! We were standing in the line next to a group from New Jersey and in the line ahead of us was some people from Georgia! So, if you’re going to attend, why not make it an outing? 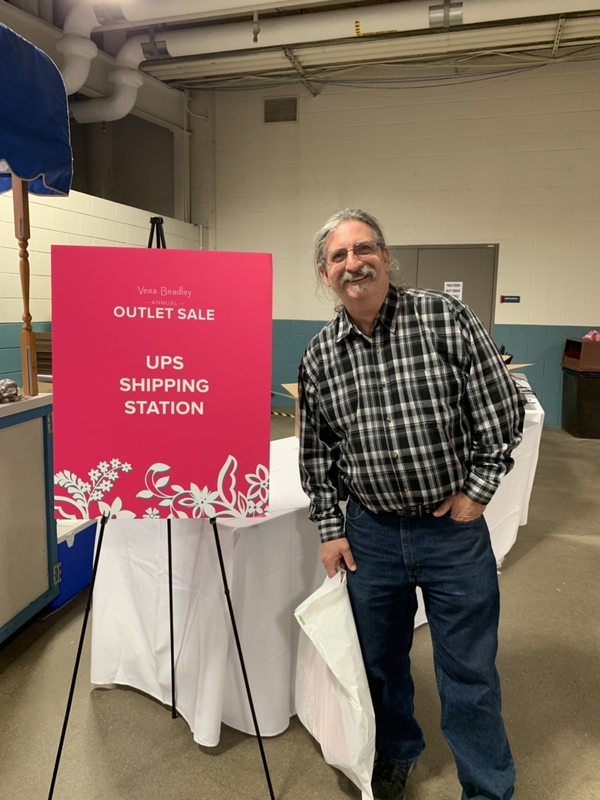 After all, they did have a shipping station set up this year, so you can have your purchases shipped directly to your home instead of having to take them with you! Of course, before you leave, be sure to stop by the fabric wall and take a selfie of you and your friends so you can share it on social media so you always remember what a great time you had! Next year a friend and I plan to make it a girlfriends’ day along with another friend of hers. 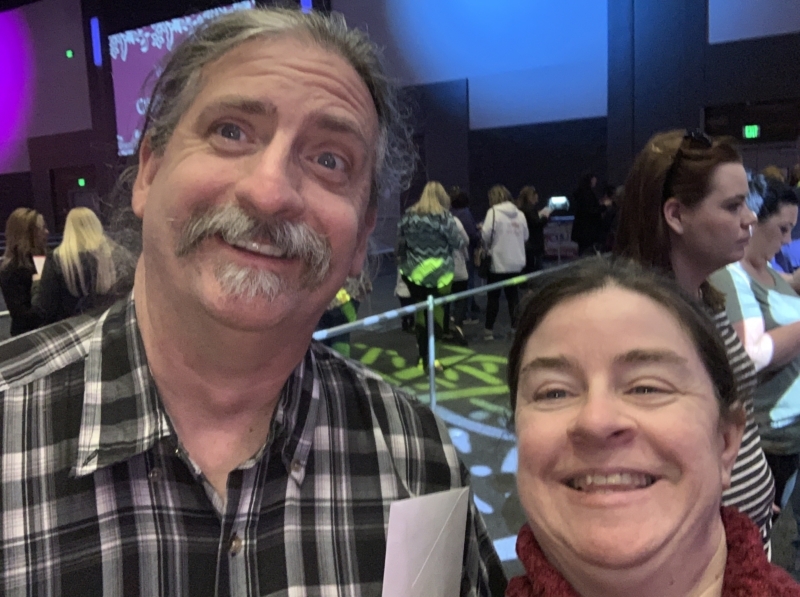 This year, I attended with my husband and that was fun too. There were a lot of men there with their wives and girlfriends. Needless to say the men congregated and talked about how they thought they would be the only man there! 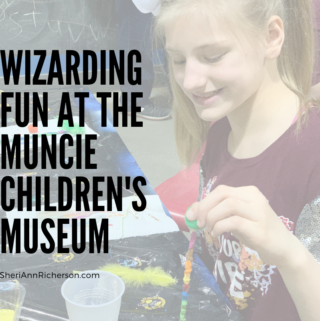 Anyway, there are lots of things to do and see in Fort Wayne. There are numerous restaurants, places to shop and of course, for those girlfriend getaways, spas to get pampered at! 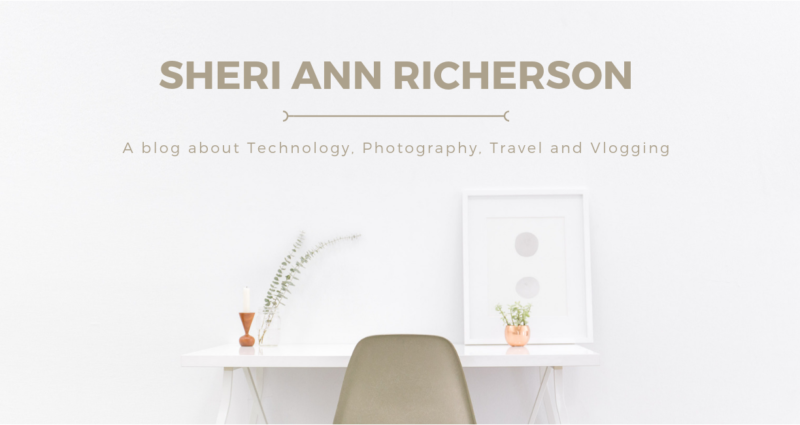 Believe me when I say, this is one sale you don’t want to miss, even if you go just once to see what all the fuss is about! My guess is however that going just once won’t be enough, especially once you get home and realize what great bargains you got!